We hope the following primer will help you to understand us better. It is our hope that you might consider visiting and worshiping God with us. God is so worthy to be worshiped. We use the word “church” to refer to a group of people in a given location who assemble to worship God. Reformed churches are united around their belief that God is supremely sovereign over all things. All of history, all societies, each individual person, and everything in between is under God’s sovereign control. What is Providence Reformed church? Providence Reformed church is a church that meets for worship each Sunday in our building on the corner of Ann St. and Coit Ave.
Providence Reformed is a church that stands in a long tradition of Christian churches known as the “Reformed” churches. 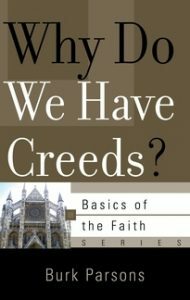 Our doctrinal statements are over 300 years old. Our church is also biblical and confessional. 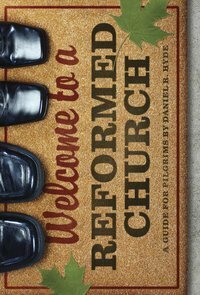 The Reformed tradition is a movement that grew out of the Reformation of the 16th century. 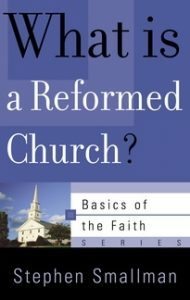 The Reformation was basically a time when the church began to intentionally return to the Bible to regulate its doctrine, life, and worship. 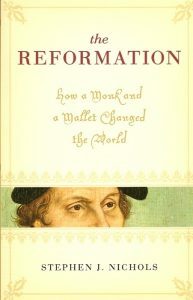 You can read more about the Reformation here. What do you mean when you describe yourself as “biblical”? This refers to our belief that God wrote a book. This book is what we call the “Bible”. When we describe ourselves as “biblical,” it means that we regard the Bible as the greatest treasure that has ever been or ever will be. All of our life and teaching, both as individuals and as a church, are centered in the words which God wrote for us in His book. You can read more about the Bible here. Our “Confessions” are documents which articulate as clearly as possible what we believe the Bible to teach. As a church, we confess that the interpretation of the Bible given in these documents is the teaching of the Bible itself. We call these documents “The Three Forms of Unity”. Why do you have to bring Confessions into it? Can’t we all just agree to live by the Bible? True, we do regard the Bible as our infallible teacher and supreme authority; but unfortunately, we are sinners, and as sinners we often misunderstand and misinterpret the word of God. Therefore, we use these documents, which our fathers handed down to us, as guides to the proper interpretation of the Bible. We confess that our confessional statements constitute an accurate, but not infallible, summary of what the Bible teaches. What are the Three Forms of Unity? The Belgic Confession is a document written in the 1560s by a French pastor named Guido deBres. You can read The Belgic Confession here. More about its history is here. The Heidelberg Catechism was written by Zacharias Ursinus and Casper Olevianus in the mid 1560s. It is written in Q&A form. You can read the Heidelberg Catechism here. More about its history is here. The Canons of Dordt were written in response to the teachings of Jacob Arminius and the subsequent Remonstra nt controversy in the Netherlands in the early 1600s. You can read The Canons here. More about the teachings of Jacob Arminius and the Synod of Dordt is here (you can read the text of the Remonstrance here). Don’t all these definitions and documents simply confuse what should be simple? Isn’t the gospel much simpler than this? The gospel is indeed simple; simple enough for even a child to understand. Again, we draw your attention to the name of our Confessional documents, “The Three Forms of Unity.” It is important to remember that these documents are not meant to divide us, but to unite us. We want to be united under the banner of a loving, humble, repentant, Christ-centered, Spirit-filled, God-exalting, kingdom-advancing body of believers. We believe in a positive expression of the Reformed faith, that is, one that promotes and defends good, Bible-based teaching while at the same time exhibiting sincere love, joy, humility, patience, and kindness.